Humourous Oz Clarke is replacing my good friend, Steven “Judgment of Paris” Spurrier, on the SIA Wine Panel. Steven has retired but still does some consultancy work for SIA. 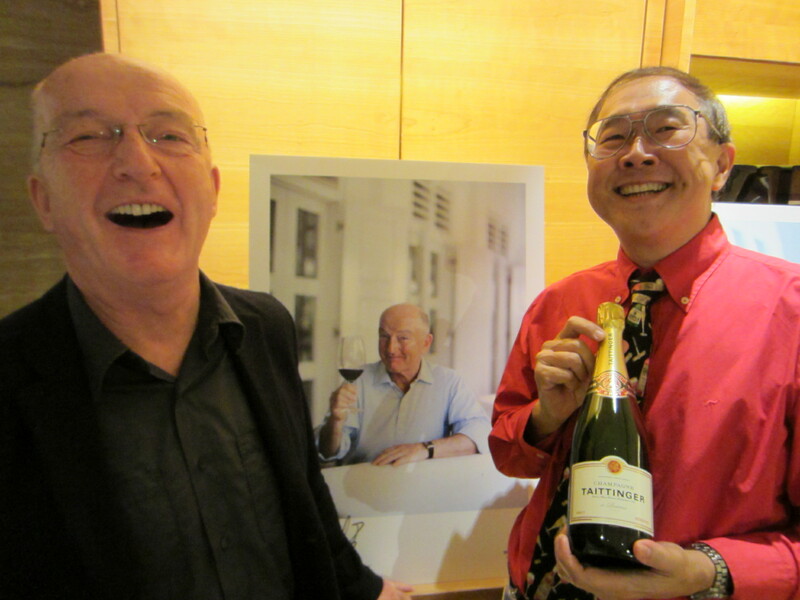 The SIA Wine Panel was established in 1989 and currently comprises Michael Hill Smith, Jennie Cho Lee and Oz Clarke. Why three? The reason is simple. When there is a dispute, and they do not always agree on whether a wine is in or out…you have a tie-breaker! Talking to Oz was most entertaining and informative, and the World Gourmet Forum also featured many Chefs from SIA’s International Culinary Panel who create all the delicious gourmet cuisine, that is served at 35,000 feet above sea level on Singapore Airlines’ First, Business and Economy Classes. 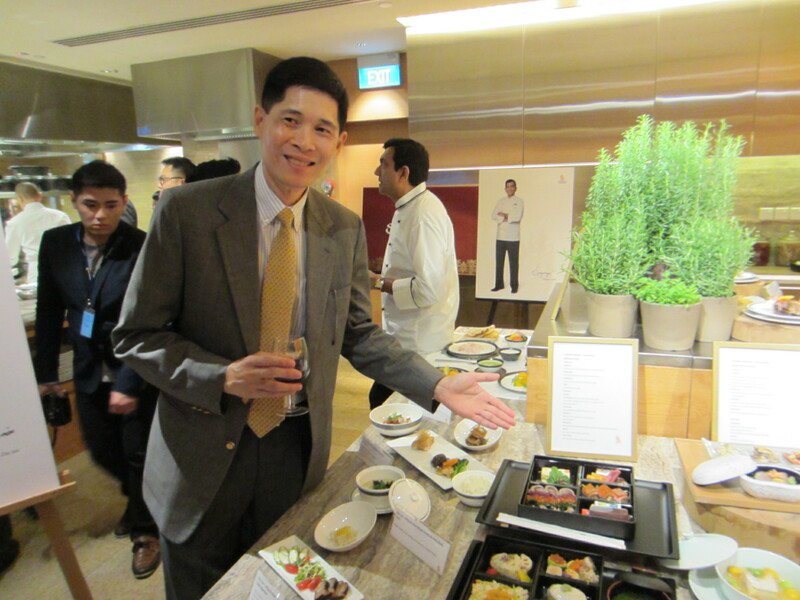 Started in 1998, the 9 Chefs of the International Culinary Panel represent 9 world cuisines. You may be a Michelin Star Chef, but to produce 2000 portions of your Michelin Dish of the same standard and consistency to be served on board a commercial jet is a real challenge! 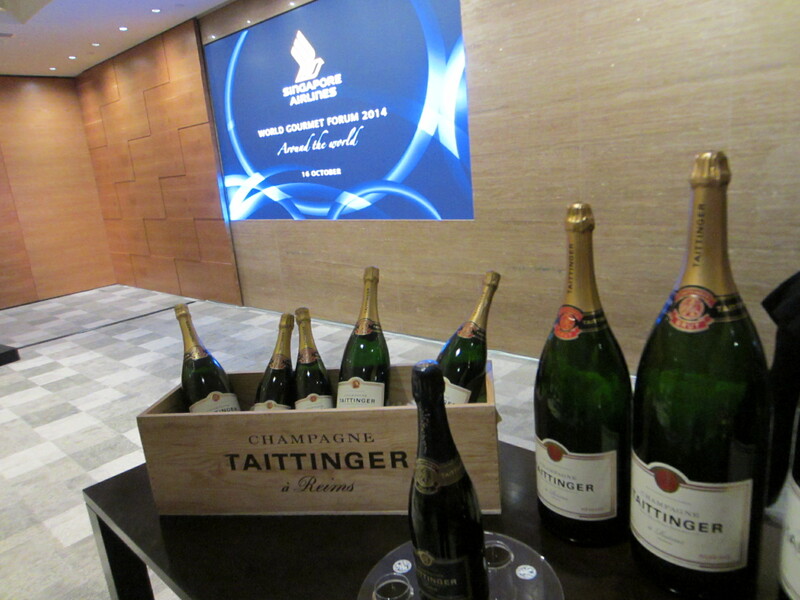 Another piece of good news for lovers of fine Champagne was the revelation by the Vice President of Inflight Service, Angeline Khoo, that Taittinger Prelude Grand Cru Champagne will be served on SIA’s Business Class very soon. Pierre Taittinger and his son Clovis are good friends of mine. I love this Champagne for its creamy citrus notes with brioche aromas. Dom Perignon 2008 will be served as well. For First and Business Class passengers, the very first encounter with a wine is the Champagne served when you board. This is why the Champagne served must be of he finest quality to make an good impression! SIA also has the “Book the Cook” programme on Business Class. You can pre-order your main course before flying from 18 cities including Amsterdam, Frankfurt, Los Angeles, Zuerich, Singapore, Sydney and more. Another SIA innovation is “Popular Local Fare” which is “Comfort Cuisine” like Singapore Chilli Crab and “Singapore Chicken Rice”. SIA aims to please passengers with meals focussing on authentic ethnicity, use of traditional recipes, fresh ingredients and consistency. The illustrious Chefs conducted exciting Cooking Demonstrations while many lovely svelte SIA girls were on hand to assist…and to just look curvaceous and beautiful…What a contrast from horizontally challenged Quantas and Air France flight attendants who look like WWF wrestlers! 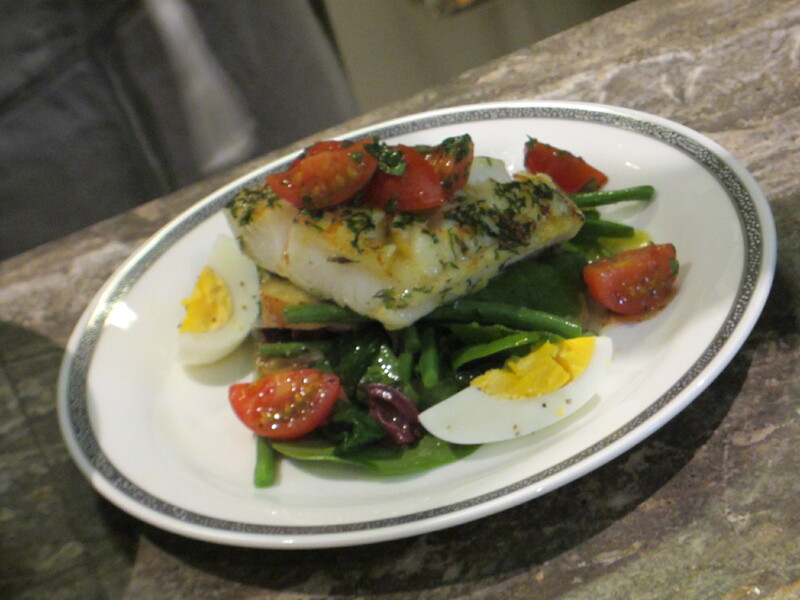 Chef Suzanne Goin, who looks as good as she cooks, impressed me with her healthy but tasty and moist Halibut. Suzanne has 5 restaurants in Los Angeles. A classic interpretation of California Cuisine it had a light Salad of Cherry Tomatoes, Hard Boiled Eggs, Anchovies, Sauteed Sliced Potatoes with Skin and Spinach Leaves spiked with fresh Lemon Juice. Excellent paired with Cloudy Bay Sauvignon Blanc wine from New Zealand. Cloudy Bay is actually being phased out but SIA has stocks till 2020. 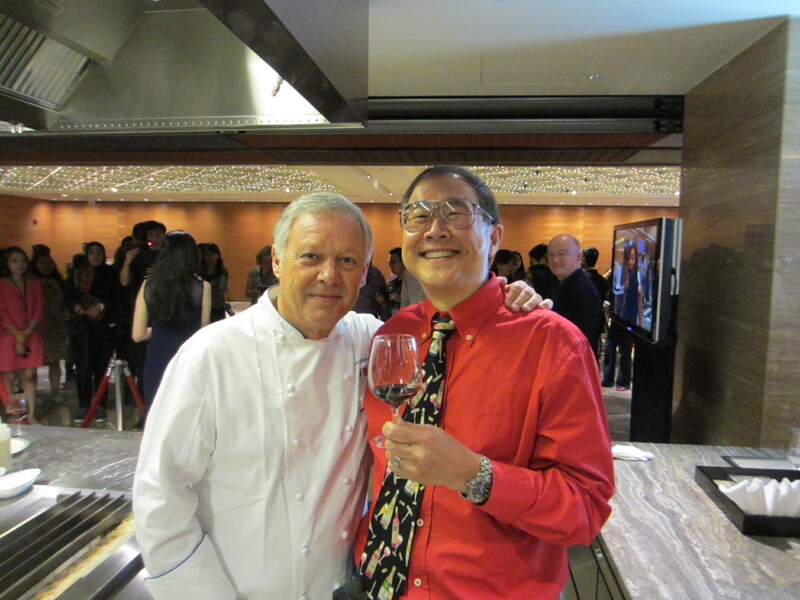 Humble and ernest French Chef Georges Blanc who has 3 Michelin Stars, shared with me why he loves cooking, “I like to take plasir (pleasure) in giving plasir to those who love my food.” Georges’ restaurant in Vonnas in France has been awarded 3 Michelin Stars since 1981! On the possibility of ‘molecular gastronomy’ making an appearance on airlines, Georges shook his head and proclaimed, “Mais non, molecular is passe, the trend is over…I do not cook molecular!” Many gourmets feel that the gimmicky fad of molecular gastronomy with its myriad potions, chemicals and liquid nitrogen freezing is over…D’accordo! 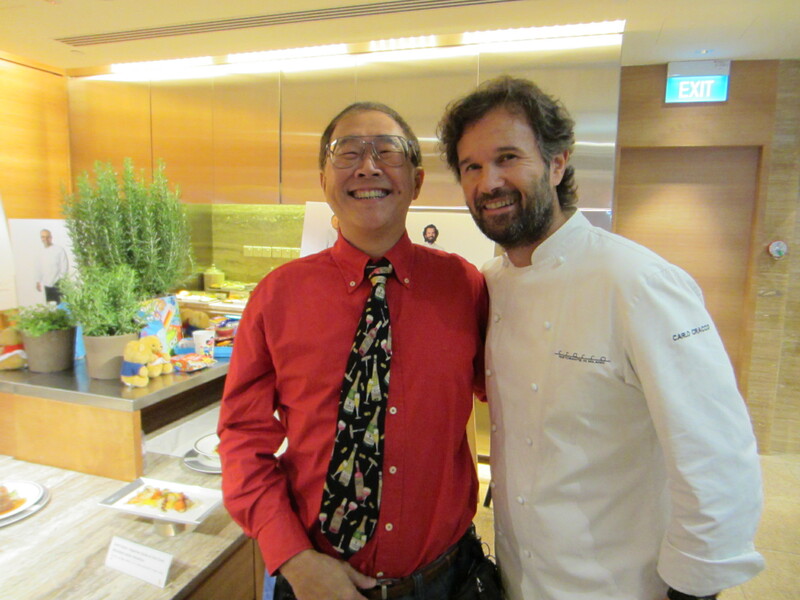 Two Michelin Star Chef Carlos Cracco from Ristorante Cracco in Milan in Italy told me enthusiastically, “I try to be very contemporary in my cuisine. 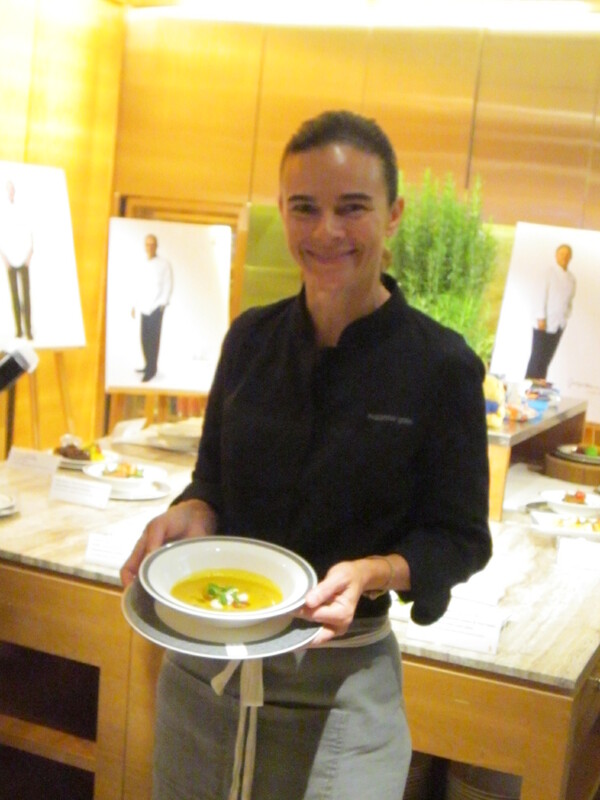 Tradition is very good but you need to evolve…to put your region and identity on every dish.” I agree. It was also a pleasure to see my good friend, bubbly and charming Betty Wong, SIA’s Divisional Vice President Customer Experience. On a fascinating side note, over a glass of Cos d’Estornel, Oz mentioned to me about the favourite Champagne of Hitler, the malignant, malevolent dwarf, and it piqued my curiosity. Did you know that Bernard de Nonancourt, the late President of the Laurent Perrier Champagne house, got his first taste of Salon at Hitler’s infamous Eagle’s Nest retreat in Berchtesgaden? As a sergeant in the 2nd Armoured Division, De Nonancourt (later awarded the Croix de Guerre) was part of the first group of Allied soldiers to reach the Eagle’s Nest. Hitler’s extensive wine cellar included hundreds of bottles of stolen 1928 Salon Champagne. De Nonancourt apparently fell in love with the wine – an excellent vintage according to experts – and vowed that he would purchase the Champagne brand, if it ever came up for sale. To travel well, the discerning gourmet ensures he eats and drinks well! Always remember whether the glass is half empty or half full…there is always room for more wine! The moment must come every day when we have our first drink! Bring on the Champagne! Singapore Airlines you’re a great way to dine! This entry was posted in Chocolates & Desserts, Fabulous Food, Friends & Comrades, Gorgeous Wines!, Gourmet cuisine, Let them eat Cake..., News and politics, Organizations, Snacks & Little Bites, Travel, Voyages, Wine Appreciation and tagged Berchtesgaden, Chef carlos Cracco, Chef Georges Blanc, Chef matt Moran, ChefSuzanne goin, Dom Perignon 2008, Dr. Michael Lim is The Travelling GourmetTM, Hitler the evil dwarf, Laurent Perrier Champagne, Oz Clarke, Salon 1928 Champagne, SAS, SIA, SIA Business Class, SIA First Class, SIA Inflight Service, SIA International Culinary Panel, SIA Wine panel, Singapore Airlines, Special Air Service, Taittinger champagne. Bookmark the permalink.